StitchyDonDesigns: Another Crazy Finish !!! I used a random number generator to pick the next project from my list which was the first page of HAED Freebie Trick or Treat. 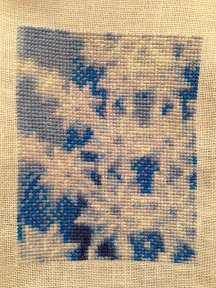 However I don't have all the threads to complete this so I am doing page three of Fractal Bookmark 292 whilst I am waiting for them to arrive ! I will update with this one soon. Very cool! I love the fractal bookmarks, they look like a fun stitch. I have 6 in the stash but yet to start one. Two Crazy Finishes !!!! Whoop Whoop !!!!! Greys, Greys and more Greys !!!!!!! !